Bad credit? No credit? No problem! Your job is your credit! These kinds of claims, often made by a shady used car salesperson, just aren’t true. Bad credit is a problem. It makes your life more expensive in the form of higher interest rates on loans. Bad credit can make it harder for you to rent an apartment and even keep you from getting your dream job. Your credit score is a widely misunderstood measure of your cash flow health and financial habits. It’s possible to have a great credit score and terrible overall financial health – and vice versa. One thing to keep in mind: Your credit score is a snapshot in time. It could fluctuate weekly or even daily based on when creditors report information on your record. 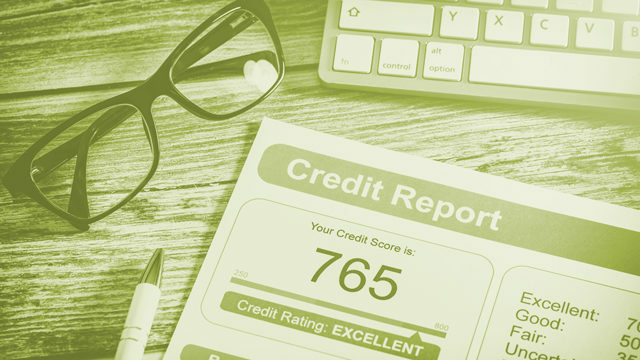 Credit scores range from 300 to 850; the higher your score, the better. The way your credit score is calculated is a bit of a mystery, but we do know some of the factors that contribute to or detract from your credit score. According to Experian (a credit rating agency), these include the length of time you have been using credit, how much debt you have outstanding, how much credit you have available to you, and how often your payments are made on time or late. Yes, the length of time you have had credit is a contributing factor to your credit score. It’s a little bit of a chicken-or-egg argument and can prove particularly tricky for young people or people who are trying to establish credit. It’s important for parents of teens in high school and college to talk to their kids about credit. Heck, show them this article! Don’t avoid the credit card conversation because you are worried your teen won’t use credit wisely. That simply increases the likelihood that your teen will misuse credit because they won’t understand it. In my experience, it is much easier for a college student to get a credit card than it is for a new graduate. So keep this in mind as you help launch your teens into the world. One important thing to note, if you co-sign on a credit application, you are fully responsible for that debt. Do not co-sign on any loan or credit card that you are not fully willing to pay back. Despite what for-profit “credit repair” agencies will tell you, there is no secret to repairing your credit score. However, I do have some simple tips you can implement (or share with your teen) to help maintain or improve your credit. First, always pay your bills on time. If this is something that trips you up, the easiest way to make sure this happens is to set your bills for an automatic payment. This saves you time – and may save your credit score. Second, pay off your credit card debt, but don’t cut up your cards. It’s popular among some anti-debt personal finance types to have people cut up their credit cards after they’ve paid them off. If you want to physically cut up your card, that’s fine. However, don’t cancel your cards. Remember, the length of time you’ve had a credit line open feeds into your credit score. Finally, don’t open a lot of credit cards in a short period in an effort to boost your score. This may be interpreted as a sign of financial crisis and actually hurt your score. With consistent, responsible credit use, you can build or rebuild your credit score. If you’re struggling to get started, talk to your local bank or credit union about a secured credit card. Building up your credit score isn’t always easy, but it’s worth it. Next articleYour Spring Veggie Growing Guide! 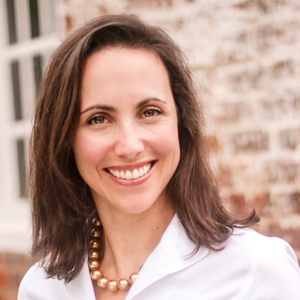 Lauren Zangardi Haynes, CIMA, CFP (R) is a fee-only financial planner and founder of Spark Financial Advisors. She has three kids (eight and under) and an elderly miniature schnauzer. Learn more about Lauren’s services at Spark Financial Advisors.